Bovine Ska and Rocksteady 9/10/2014: Remembering Hopeton Lewis – LILY & GENEROSO 4EVER! We were very saddened to hear about the passing of legendary vocalist, Hopeton Lewis, on September 4th. Hopeton had passed away at his home in Brooklyn last Thursday after a long battle with kidney disease. Hopeton was a guest on the Bovine Ska and Rocksteady back in 2006, a very sweet and reverent man, who had been almost exclusively performing non-secular music for the last thirty years. When we spoke back then he still had great affection for his earliest cuts for Merritone, Treasure Isle and Dynamic. 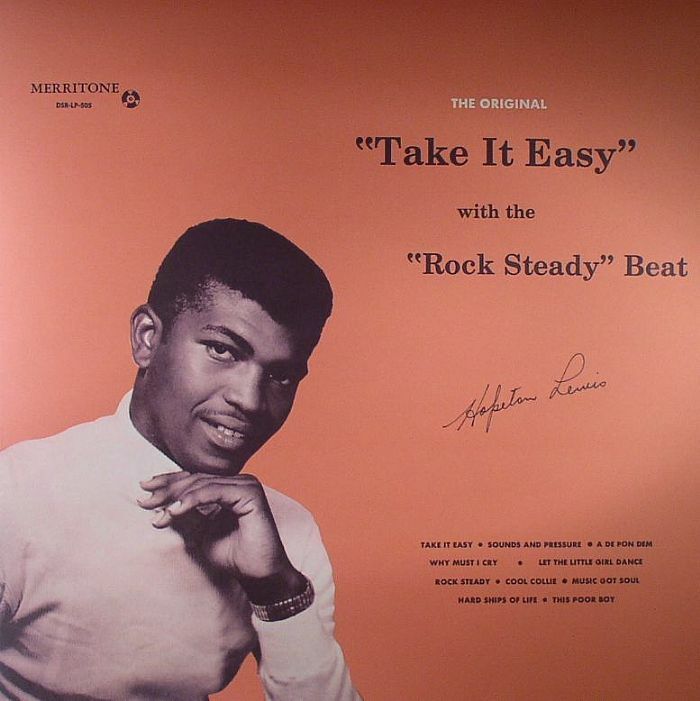 There are his landmark tracks such as his first hit, 1966’s “Take It Easy,” which many people consider the very first rocksteady tune ever recorded, and the track he would record the same year, “Cool Collie,” the very first Jamaican record to openly speak about the positive effect of marijuana. Hopeton Lewis was born in Kingston and raised in Burnt Savannah, Westmoreland. At the age of 6, he began signing for the Burnt Savannah Holiness Church, which was his starting point for his passion for music. As a young boy, he returned to Kingston to live with his grandparents. At the age of 15, his grandparents passed away, and Hopeton was left on his own to survive in Kingston. As a young man, he quickly entered the music industry in order to fulfill his love for singing and also to try to earn a living. He began his recording career as a member of the vocal group, The Regals, by cutting a side at Coxsone’s Wincox label. Not much came of it, so he took his smooth voice and began a solo career at Merritone where he scored a hit with the aforementioned “Take It Easy.” which stayed at the top of the charts for weeks and sold over 10,000 copies! After leaving Merritone in 1967, Hopeton had brief stops at “JJ’s” and “Fab” before finding more success with Duke Reid at his Treasure Isle label. Besides singing backup for many of the Duke’s established artists, his turn at lead vocals there would result in a Festival Song Competition winner with “Boom Shaka-Laka.” He would move to Byron Lee’s Dynamic label and the hits kept on coming as “Grooving Out On Life,” the title track from his full length LP released in 1973 became a signature song for Hopeton. On the September 10th edition of the Bovine Ska, we took you on a musical trip through Hopeton’s career and tried to help you get a better picture of his progression as one of the most talented vocalists in Jamaican music history. This link will be active until 9/23/2014. Enjoy!